Waterproof MP3 Players, Waterproof iPod Cases, Waterproof Headphones, Waterproof Phone Cases, Waterproof iPad Cases, Waterproof Radios For Swimming. Swim, Surf, Sail Or Ski To Music. Waterproof iPod case swimbelt from Overboard. This enables ease of use when swimming by attaching waterproof mp3 case around waist with swimbelt at base of spine and running earphones lead down back between swimmers shoulders blades. 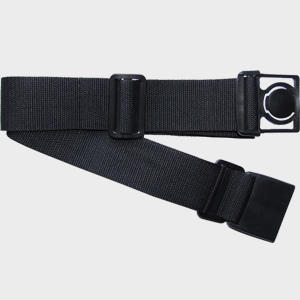 Fully adjustable swim belt with quick release buckle. Specifically designed for use with Overboard waterproof iPod case but can also be easily used with Aquapac Waterproof MP3 cases.